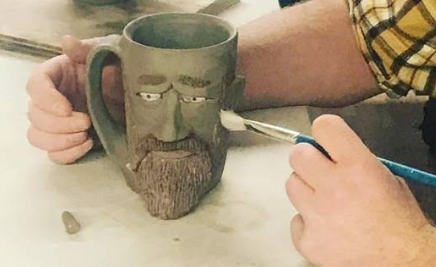 Make Your Own Face Stein! The iowa Ceramics Center and Glass Studio and Lion Bridge Brewing Co. are excited to be partnering for another Make Your Own Stein Event! This time around we will be doing FACE Steins! Funnnn!! !